Some disabilities become more common as we age, affecting our eyesight, hearing and ability to move around. Regular daily tasks, such as bathing, dressing and preparing meals may become more difficult to perform. If you need some assistance, see Help at home. Several conditions such as arthritis, osteoporosis and muscle weakness and pain become more common as we age. Neurological illness such as dementia can cause confusion, memory loss and disorientation, and the reduced ability to finish thoughts or follow directions. For some people, dementia may also be combined with decreased mobility, loss of balance and problems with coordination. For those living with a person who has dementia, it can be a confusing and scary time. However, there are some simple ideas that can help make the home a safer environment. Health Direct Australia provides information about eye health. Royal Society for the Blind is the leading organisation providing services to South Australians who have severe vision impairment. The RSB's Low Vision Centre offers information, advice and low vision aids. 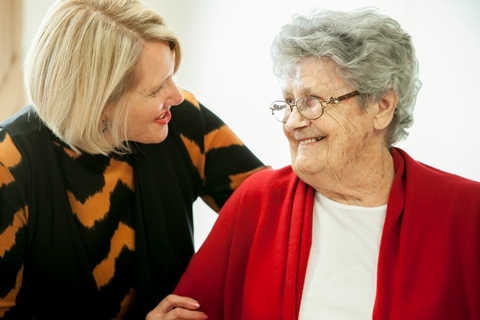 Blind Welfare Association provides support to South Australia's vision impaired through residential accommodation, financial support through loans and subsidies, in-home support and centre-based activities. Guide Dogs SA/NT provides free services for people with a sensory loss, delivered by qualified professionals. You may be eligible for cheaper spectacles or contact lenses if you hold a Pensioner Concession Card, or have held a Health Care Card continuously for at least 12 months. Please consult your doctor if your hearing loss is causing you concern. Australian Government Hearing Services and Health Insite provide information about hearing loss. Deaf CanDo provides information about deafness, deaf culture, the deaf community, hearing loss, technical devices and communication modes employed by deaf persons and others with hearing loss.